Secure your backups, not just your data! In today's digital world where data is the new currency, protecting this data has become more important than ever before. In 2017, attackers had a huge impact on businesses as we saw a large outbreak of ransomware attacks like WannaCry, Petya and Locky. According to a report from MalwareBytes, ransomware detections were up 90 and 93 percent for businesses and consumers respectively in 2017. When a machine gets attacked by ransomware, backups are usually the last line of defense that customers resort to. With increasing innovations in the ransomware space, attackers are no longer restricting themselves to only data corruption. Backups are becoming the next line of attack for ransomware tools and when you are in a situation with no data or its backups you end up being hostage to the ransomware attacker. This month saw the advent of a new ransomware, Zenis (found by the MalwareHunterTeam) which not only encrypts your files but also purposely deletes your backups. Combating these attacks requires more than just taking the backup. Taking a backup is only the first step in your protection, it becomes important to safe guard those backups in this model. Is your backup isolated from your production data? Are there any mechanisms to ensure destructive operations are authenticated? Do you have a mechanism to get alerted if a critical operation was performed during this period? If you answered “No” to any of the above, you need to look at a new model for your backups. 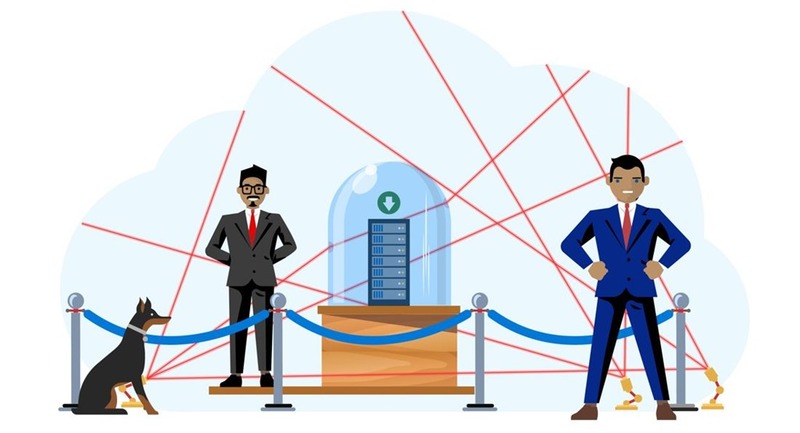 This week as we celebrate World Backup Day, let’s look at the key considerations that customers should look for in backup products as they build the defenses to secure their backups from evolving ransomware attacks. To secure your backups, you need a multi-layered security mechanism that not only provides a backup but also addresses all the above, so ransomware cannot affect it. Offsite backups: Ensure your backups are stored separate from your production data so that access to local data does not guarantee access to the backups as well. Delayed Delete: Backup products should ensure that backups are retained for a minimum period-of-time even if a deletion request came from an authenticated access. How does Azure Backup achieve these? How does Azure Backup achieve it? This World Backup Day, step up your game – don’t just protect your data, secure your backups too!